In this blog post, I will share 1o best online Calendar maker for 2019. These calendar makers are intuitive, comes with numerous designs and advanced customizable options. It helps you to keep up with your friend’s birthday, business activities, your life’s upcoming events etc. Let’s get started and check out the best online calendar creator. 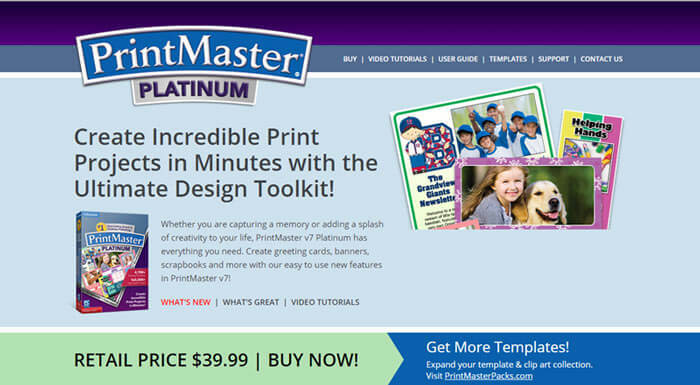 Printmaster Platinum is a premium software so it might not be a perfect fit for those who are short on budget and looking for some free solution. Print Master is an advanced online calendar maker which has pre-build 577 calendar templates and more the 300,000 images in its library. Not only this, you can even import your own images into creating a unique and creative calendar on Print Master. There are several other features offered by Printmaster Platinum which makes it one of the astonishing online calendar creator which includes new photo fonts, new brushes, advanced text handling capacity etc. And besides that, using Print Master Platinum is also very easy. It comes with the intuitive interface and there are several video tutorial available on their website which makes it really easy for the newbies to understand its working. If you are looking for an effective and feature rich online calendar maker which lets you create a fully customized amazing calendar in all types i.e wall calendar, CD case calendar, and Annual calendar, then you can count on EZ calendar. It depends on your creativity and productivity that how you leverage EZ Photo Calendar Creator to create compelling calendars. EZ photo calendar offers over 40 pre-designed layouts where you can just drag and drop your photos. EZ Photo Calendar Creator 2 comes with over 300 background options to choose from, the ability to edit the photos, beautiful stickers, the ability to add text anywhere on the calendar etc. If you are looking for an online calendar maker specifically for Microsoft Word and Excel utilities, WinCalendar is the one for you! WinCalendar doesn’t only let you import basic images, events, and information on your customized calendar but it is far advanced than this. WinCalendar lets you create monthly and weekly Calendars with Gantt Charts and Spreadsheet Tables integrated. WinCalendar is fully menu driven and lets you import data from Outlook Calendar, Google Calendar, Yahoo Calendar, iCal Calendar, and spreadsheet data. All in all, it’s a pretty good free solution for creating ms word and excel calendar with advanced functionality! Photo Calendar Creator lets you create professional-looking calendars in the best way possible. If you are professional calendar printer and love printing customized calendar online, Photo Calendar Creator is one software which is surely going to be loved by you. Photo Calendar provides you with 150+ inbuilt templates which you can choose from and create a personalized calendar with tweaking the design in your own way. On Photo Calendar Creator, you can create and print almost all type of calendar in every paper format including A4, A3, 11 x 17, 12 x 18 etc. Whether you want a calendar for a month or a year, in English, German or in any other native language, Photo Calendar Creator works like a charm. 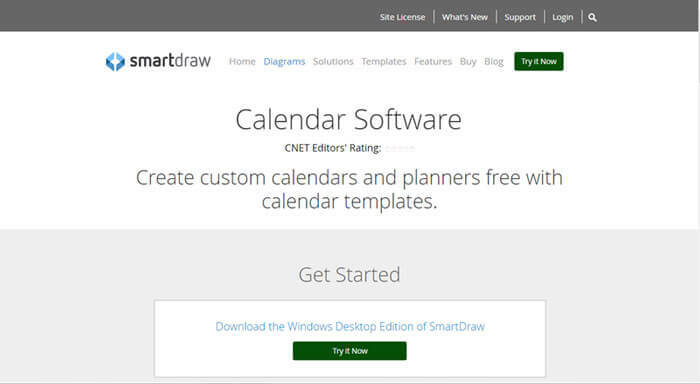 SmartDraw is another very popular online calendar creator which extremely easy to deal with. Creating and customizing beautifully personalized calendars on SmartDraw doesn’t take more than just a few minutes. On SmartDraw, creating professional and compelling calendar is as easy as ABC. Just start by selecting the inbuilt templates, add custom clip arts, your business logo and other beautifying effects to make it more creative and unique and just finish creating the best calendar you have ever imagined. By creating your dream calendar on SmartDraw, you can Keep track of your life events including conferences, vacation times, project deadlines, office social events etc. Time and Date is one of the most prominent and loved by all online solution for all your time, date, weather and upcoming events queries. Here you get to see information on the world clock, time zone, calendars, Weathers, Sun and Moon, Timers, Calculators and every time and date related query you can think of. The Time and Date, also lets you create your customized calendar for any country, language and year you wish to. To make the customized calendar creation task easier, you get to select a quick design out of all the pre-given designs. Time and Date offer two different type of calendar creation options. The first one is basic and the second is advanced customization. You can explore both the options individually to create more personalized and beautiful calendar. Some of the advanced customizable options in advanced calendar creator are format, design, Titles, Text, Holidays, Weeks, Moon etc. Whenever it comes to editing any graphic online, the Canva is the first graphic design editor which comes into account. The Canva is serving its customer for many years now and has managed its position as one of the leading editors online. Whether it comes to editing any image, posters, tickets, calendar or any freaking thing, Canva is the master for all. It has over 10 million active users who use Canva for their various online graphics designing work. Creating a beautiful customized calendar on Canva involves just a few clicks. Here are the steps to be followed. Sign up on Canva to get started. Don’t worry, it’s absolutely free. Select any of the beautiful templates from their library or create your custom design with easy drag and drop interface. In the next step, just upload your own photos or choose from over 1 million stock images. Customize the calendar by adding filters, effects and other additional stickers. Now just save the calendar, download it and print it if you wish to! There are countless options on Canva to create an innovative calendar and depends on your creativity that how you utilize those options to create an awesome calendar online. Creating extremely innovative and creative calendar on Calendar Builder is super easy. This is a full-fledged feature rich online calendar maker which comes power packed with an amazing set of features. Calendar Builder is an extremely easy to use. Moreover, the easy drag and drop interface of calendar builder makes the calendar making a task much more interesting and fun. Calendar builder is a flawless, affordable and a small software which lets you personalize and beautify your online calendar with hundreds of beautiful border styles, countless icons, fonts colors etc. Pically is a free yet very powerful free online calendar maker. Creating an eye catchy personalized calendar on the Pically is just a matter of few clicks. For those who are not very techy and always be in the search of the easy solution and software with the easy interface, Pically is the right choice for them. As sooner you land on the PicallyCalendar homepage, you get provided with the easiest calendar creation options. To get started creating your desired online calendar, just select any built-in template by clicking the Photoclassic button. There you can select the monthly, weekly, or yearly template you wish to. You can also drag and drop any custom image from your computer to make the calendar more personalized. Now customize rest of the options like headline, language, font, month, events and finish creating your desired calendar. It’s that simple! My Photo Creations comes with several free built-in templates to choose from, or there are countless other customizable options as well, which you can use to customize your calendar the way to want. MyPhotoCreations offers various paper printing options meeting the different needs of the customer. This online calendar maker is surely not free but it’s affordable enough that even a mediocre can try their hands on this calendar maker. Besides, you also get a bulk discount if you buy My Photo Creations product in bulks. So these are the top 10 best online calendar makers, a collection of top free and paid software! 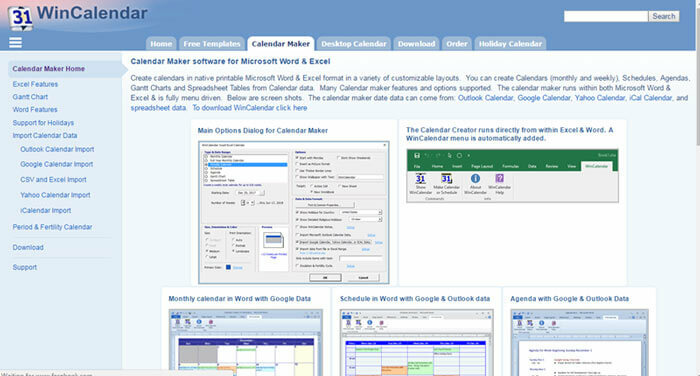 Besides these Softwares, you can also try your hands on Simply Calendars and Custom Calendar Maker 2.0. I really hope the article turned out to be really handy for you! If it helped you in any way, just feel free to give your feedback in the comment section below. Also, do mention any other best online calendar maker which you know but we forgot to mention! Calendar Creator DeLuxe v. 12.2 has received terrible on line reviews. What is your experience with this Brunderbund product? Thanks.